Intex is launching a new series of phones called the Aqua series with its first device called the Intex Aqua Stlye which has a 4 inch display having IPS OGS display, this device is going to be the sub $100 device being launched in India. Intex Aqua Style will be running on Kitkat 4.4 Android OS out of the box which many high end phones are waiting for the updates is pretty neat. Android One which is going to be coming in India with Micromax and Spice will surely have Intex in the category because of its strong basic smartphones line up. Aqua Style comes with a 1.3 GHz Quad Core Processor having 1 GB of RAM and 4 GB internal memory which can be expanded to 32 GB using microSD external memory. It also sports a 5MP camera with LED flash and a 2MP front facing camera. The device also supports Wifi, Bluetooth 4.0 and GPS. The device has Dual SIM card support and a 1400 mAh battery which seems to be on the lower side for a Quadcore processor. The device is going to be available in Black and White colors and the device will be up for sale shortly. It will be priced at Rs. 5,990 which makes it into the sub $100 category. The smartphone will be available in the Indian market in August and it comes in two colors Black and White namely. 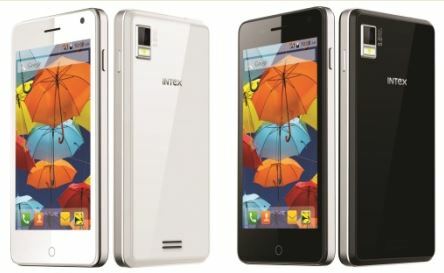 Intex has added a Free Flip cover when you buy the smartphone.